There is plenty of parking space nearby, but about 15 minutes by bus from Sauvé Métro station. Thanks, Josée! I didn’t know about this store, so I didn’t get to check it out before leaving Montreal. I also visited the one on Mont Royal (the name escapes me right now), just before moving away. It had a small-ish selection, but the staff were very friendly. Mouliné, though, is typically the best in terms of selection and price. La Mouline knitting shop on Sherbrooke and Decarie is a full and interesting place to buy yarn. The manager is a male who seems to be a peculiar individual who sits in a chair by the window watching the sales personnel and speaks his views and opinions in a condescending manner. The female sales person (writing this on April 12,2017) is unlikeable and unhelpful. Bordering on disrespect towards customers. I would not refer people to the store nor will I return to it. Very unfortunate as the stock is impressive. I am now supporting Espace Tricot on Monkland in NDG. It is a smaller shop and the staff are kind and interested. People skills are more essential to having a successful business and keeping it going than stock and the size of a store. Hi Maureen, I realized I’d never replied to your comment. I agree; the owner at Mouliné is a little odd. I didn’t really like that he bad-mouthed other yarn store owners in the city. I think of this place as Ali Baba’s cave, or Aladdin’s cave of wonders. If you know what you’re looking for and you don’t really need help, this is a great place to go. They have a large selection, and a good range of qualities and prices. You can browse here for hours and always come away with something delightful. However, if you’re looking for advice or help, this is not the best spot. I once had a young lady staff member who was very helpful, but otherwise I haven’t gotten much good advice from the owner. So, go and browse, but perhaps visit another one of the recommended stores if you’re looking for advice and support. I attende the Mouline knitting store today and the owner, a Stocky build lady behind the counter, was rude and made me feel like I was disturbing her. I asked relevant questions, I am an intermediate level knitter and she belittled me. I have had been to that store before and had been served by the young lady who works there and got an excellent service but I will never return to that store. I got in my car and I was upset, having been spoken to in such respectful manner. People go back to wool stores because the staff are generally helpful but I will never go back there even though the store is in close proximity to where I live. This is the first time I put a comment on the internet but I wanted to let people know about my awful experience. I’m sorry to hear about your experience at Mouline, Sonia. As I said in my article, I never found the staff there very helpful, but it’s a great place for looking for a variety of yarns. 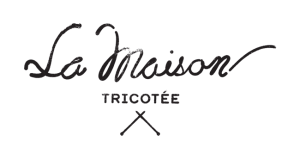 If you’re looking for friendly and helpful customer service, I highly recommend either La Maison Tricotee in the Plateau, or Espace Tricot on Monkland. Visiting Montreal next week. Anything near Auberge Bonaparte hotel in Old Montreal? Hi Carolyn! You’re closest bet would be La Maison Tricotée on rue Gilford (click here for directions by public transport). Another option, which is a little farther away, is Mouliné on Sherbrooke Street West (here’s a map for you). La Maison Tricotée is higher-end, a little pricier, but worth it because they have yarns that are to die for (and a lovely tea room to sit and enjoy them). Mouliné has more selection, a wider range of prices and quality, but it’s not in a particularly charming area, and it’s not the kind of place you want to sit and spend a lot of time in. I hope this info is helpful, and have a lovely stay in Montreal! Any idea where to get yarn for a Cowichan sweater – in Montreal…? Hi Cynthia, I had never hear of Cowichan sweaters! I’ve done a little research, and it sounds like you need a good, thick animal fiber yarn. Your best bet for a good quality yarn is La Maison Tricotée, Espace Tricot or Mouliné (see the links in my post for info). I think you’ll find the widest selection at Mouliné, but likely you’ll find better quality stuff at Espace Tricot or La Maison Tricotée. You may even have luck at Effiloché, but their selection won’t be as wide. I hope that helps! Where do you think it’s the best place to get yarns to make Pom poms? It all depends on what kind of pom-pom you want to make! I think you can use any yarn you choose. If you’re making them in bulk for decorative items, I would recommend acrylic or an acrylic blend (readily available at Mouliné or La Lainerie Lepine, or your big surface stores like Walmart or Michael’s). But if you’re adding a pom-pom to a beautiful hat you’ve knit, I would suggest using a matching or complementary color in the same yarn you used for the hat. Hi,where I can get yarn for making light pendant. Hi, I’m afraid I don’t know what you mean. But if you’re looking for lots of craft items you can check out Michael’s, which has at least two locations on the island.